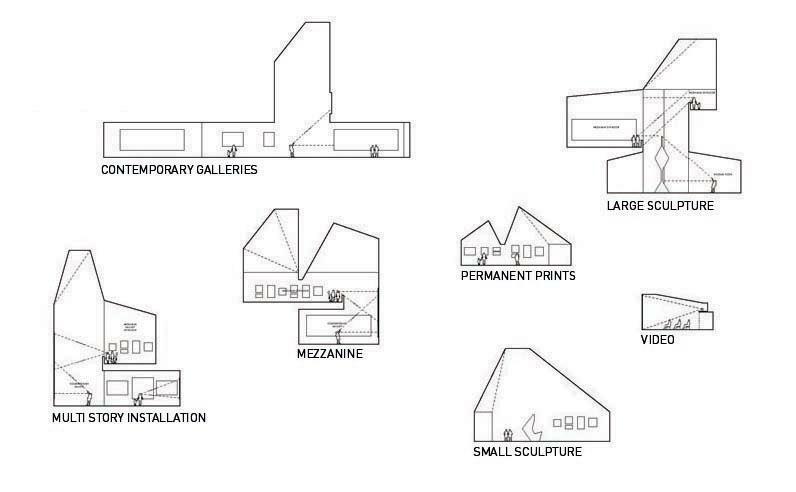 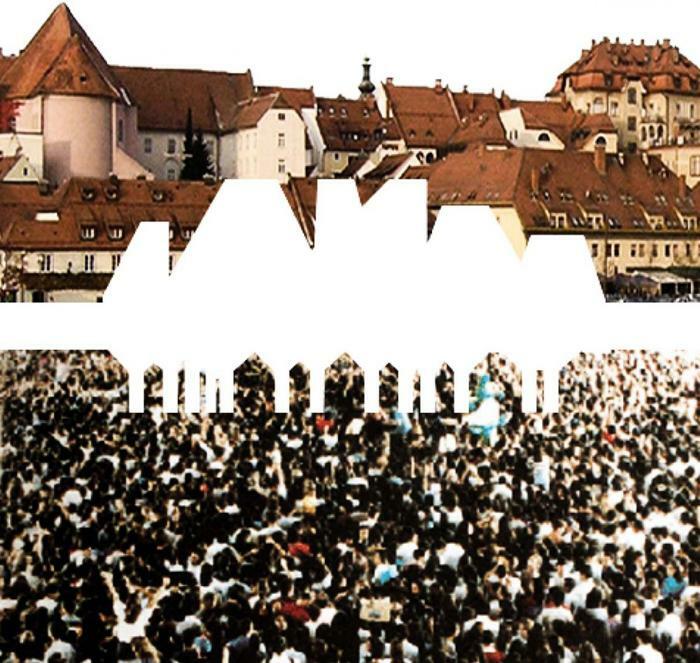 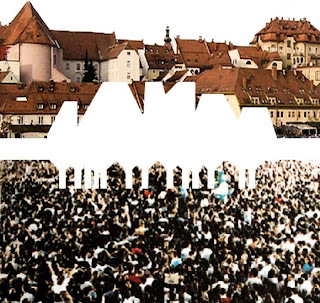 The program for the new Maribor Art Gallery mandates a clear institutional identity: A singular architectural complex, a progressive curatorial agenda, and a new place of public assembly in the city. 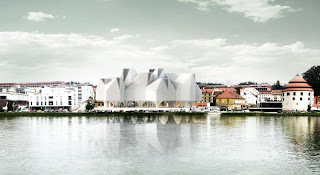 At the same time, the site demands a sensitivity to the robust historical fabric of the city of Maribor itself. 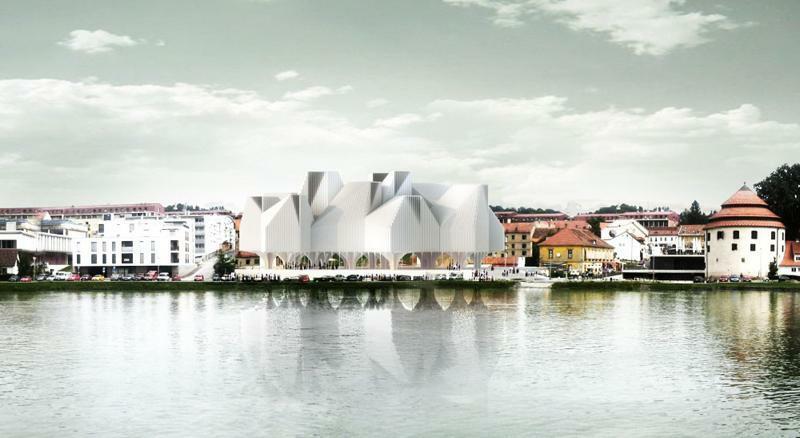 Our project negotiates that apparent contradiction with an architectural solution that synthesizes two distinct yet complementary spatial systems: An open, flowing public platform at ground level smoothly connected to adjacent places of gathering and the banks of the River Drava. 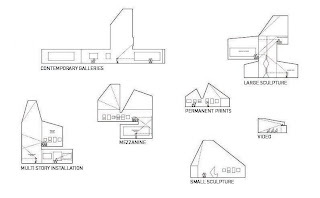 And a modulated gallery sequence, developed as an assemblage of parts, scaled to the dimension of the historical parcels. 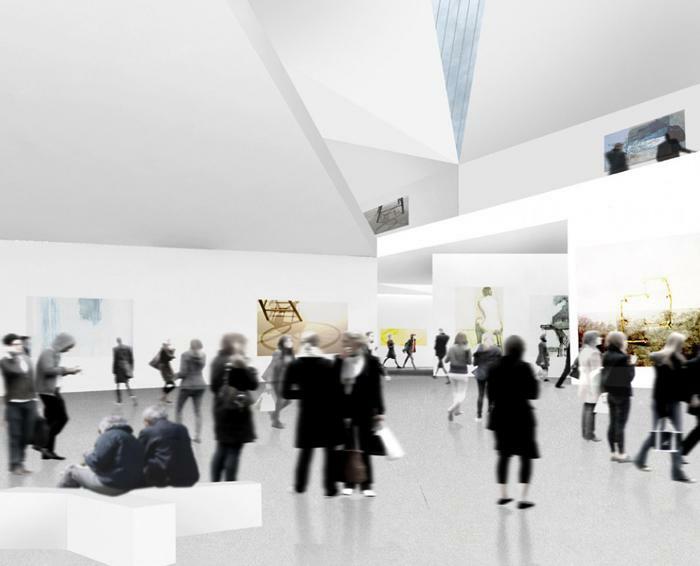 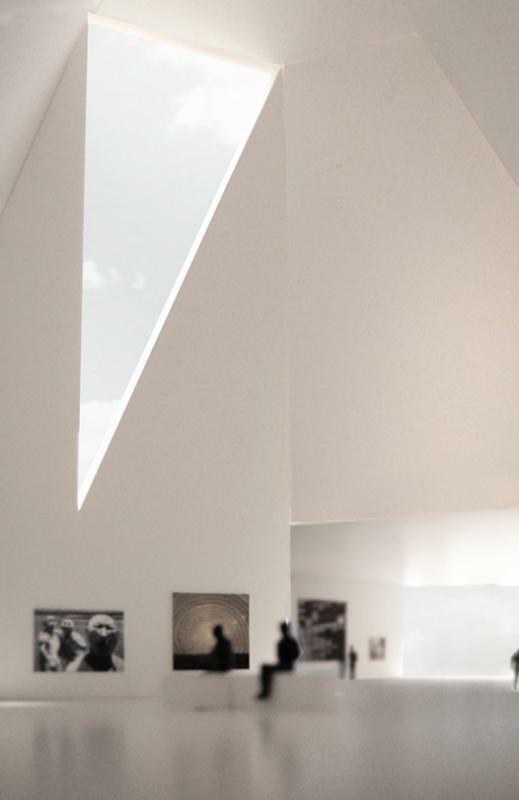 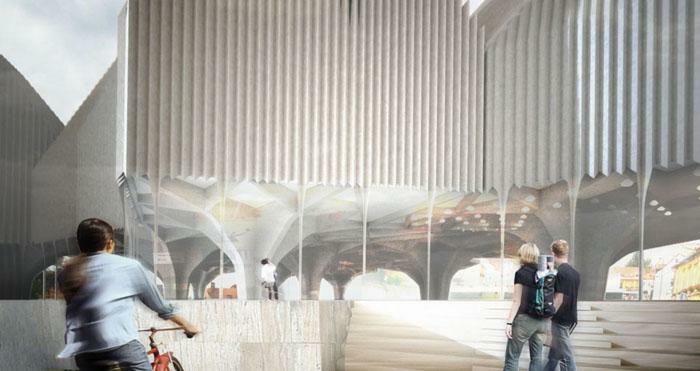 The articulated roofline of the gallery blocks will simultaneously announce the presence of the new Maribor Art Gallery and at the same time stitch it back into the fabric of the city. 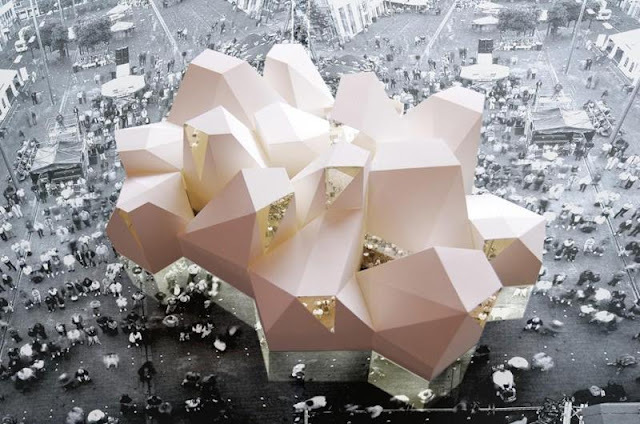 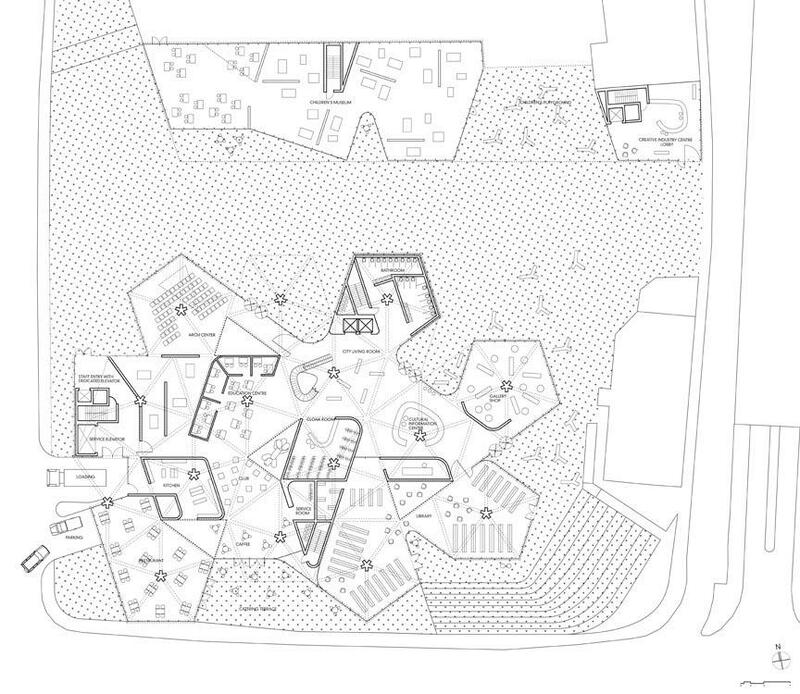 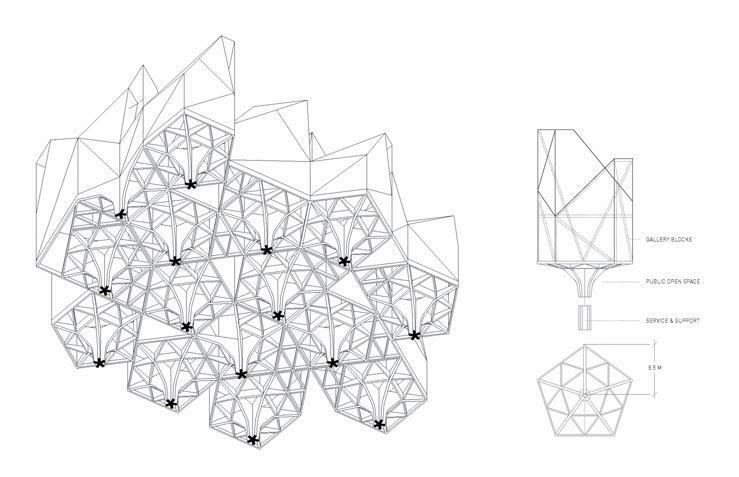 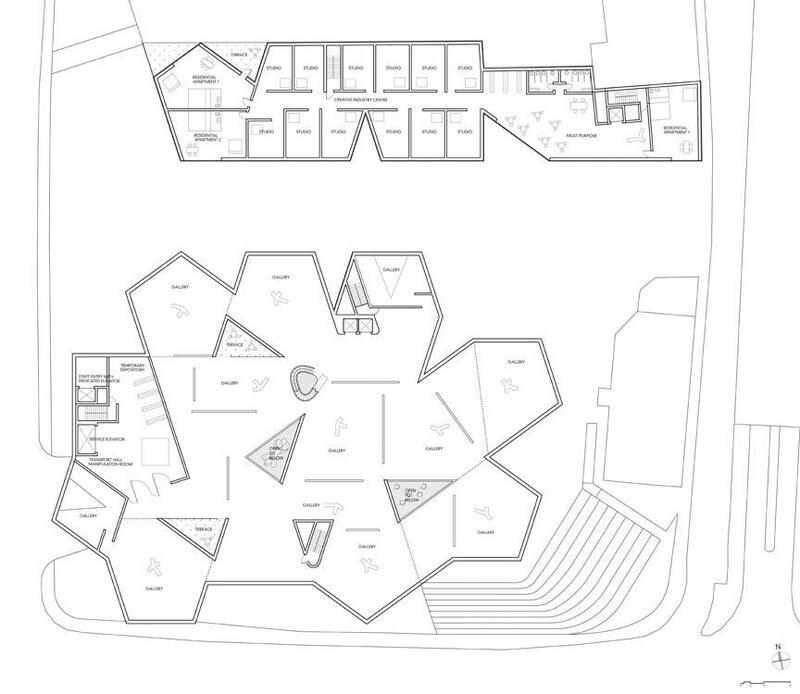 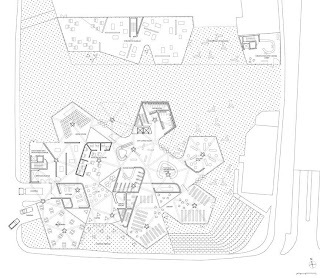 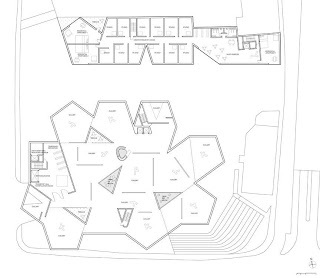 The architectural strategy is based on the aggregation of a basic structural module. 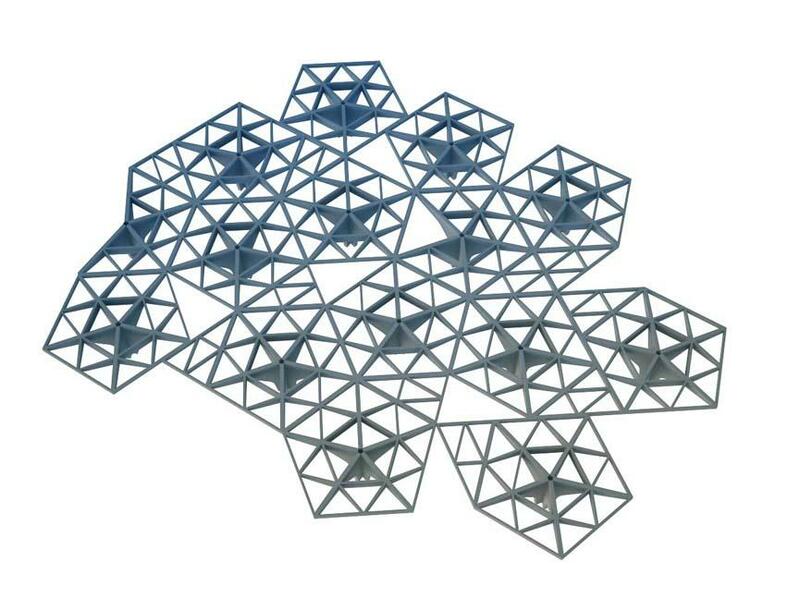 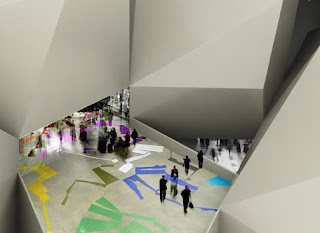 The pentagonal geometry creates rotational symmetries and an irregular perimeter, increasing the available area of wall space for exhibition purposes. Interval voids allow light to the interior and potential connections between floors. 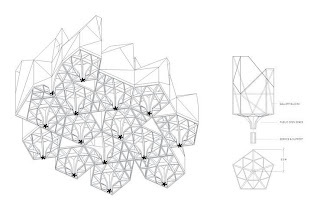 Out of regular elements – simple to construct – a complex whole is created, greater than the sum of its parts.